Can you imagine trying to shop for Kim Kardashian West? The woman has absolutely everything (or if she doesn’t have it yet, she could get it whenever she wanted because she has all the money). If you’re her poor family, what the heck do you even get her for holidays like Christmas? She and Kanye West must truly be soul mates, because that guy has her dialed in. While he’s gone totally extravagant in the past (remember 2015 when he got her literally 150 gifts for Christmas, including a fur coat and a Prada jumpsuit? ), this year, his gift was far more practical, and we can see why she’d be totally into it. Kardashian West shared some snaps on her Instagram story that showed West had stuffed her stocking this year… with stocks. He got her investments in Netflix, Adidas, Apple, The Walt Disney Company and Amazon that totaled more than $200,000, and considering the constant success of those companies, we have a feeling that money is only going to grow. That’s the answer. What do you get the woman who has everything and all the money? More money. It’s genius in its simplicity. Score 1 for Kanye. Of course, West being the doting husband he is, dressed up the gift a little bit. 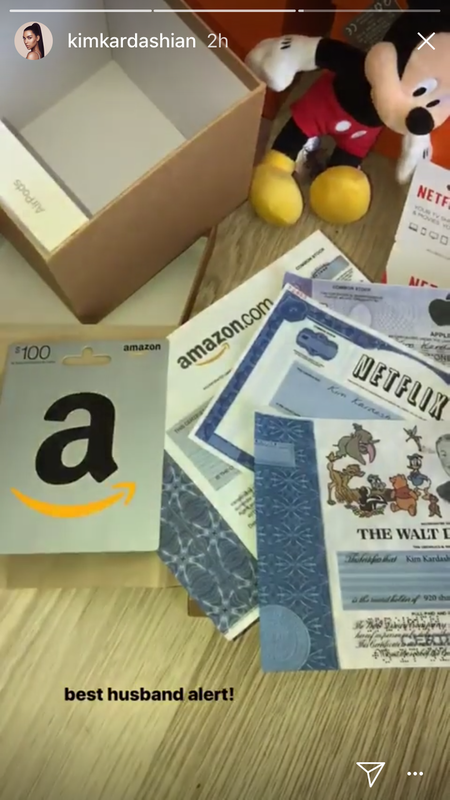 In addition to the stock certificates, he gave Kardashian West small gifts to represent each company: a pair of Apple headphones, a stuffed Mickey Mouse doll, some Adidas socks and gift cards to Netflix and Amazon. Seriously, who wouldn’t be stoked to have a stocking like that, even without the $200,000 in investments? 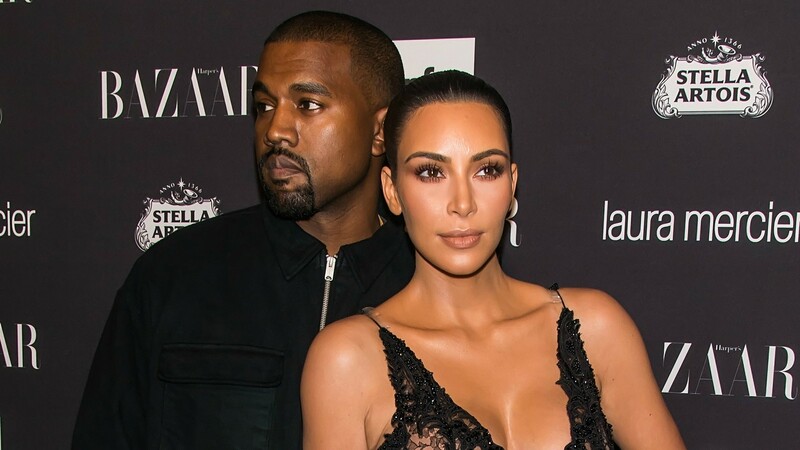 According to Kardashian West, West is the “best husband” this year. After seeing this practical yet awesome gift, we have to agree.